Our team is thrilled to announce our new program! The world has seen an unprecedented shift in information access and delivery. A wide range of new communication tools is deeply ingrained in our personal and professional lives. However, nothing has yet replaced the power of a conversation. That’s the motivation propelling BayBrazil’s Tête-a-Tech: to connect individuals in unique & meaningful conversations. We will leverage technology to facilitate a series of dialogues between leaders in Silicon Valley & Brazil. The meetings will happen live, via web, offering tech communities in various Brazilian cities unique opportunities to gain insights on cutting-edge technologies & discuss business models with seasoned professionals with both entrepreneurial and corporate experience who work in Silicon Valley, live and breathe its innovation ecosystem. Initially, Tête-a-Tech will feature conversations in Portuguese with a guest speaker in Silicon Valley & BayBrazil partners and their guests in Brazil. In a second phase, the series will also feature conversations in English, expanding the scope to BayBrazil’s entire network. Our program will have a total time of 90 min broadcast live through the internet with full access free of charge. The next edition of Tête-a-Tech is coming up on Thu, February 27, 10:30am PST. 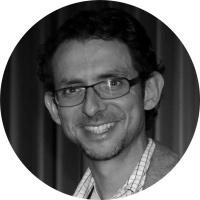 We’ll interview Vicente Silveira, Data Science, Engineering leader & BayBrazil Chairman of the Board. Our partner Cubo & guests will join the interview, live from São Paulo. Vicente will discuss AI & the Future of work. How is AI changing how companies do business? What will be the jobs of the future? Which strategies do businesses need to consider to move forward and transform its workforce? Thanks to those who participated in our Tête-a-Tech with Vicente! The conversation is available here. Check it out. The Dec 4th opening we had a very special guest. 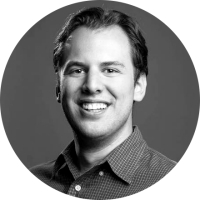 Mike Krieger is a Brazilian entrepreneur and Co-Founder of Instagram. Mike talked about his journey as an entrepreneur, his vision on tech innovation and answered questions from BayBrazil partners in Sao Paulo & Belo Horizonte. Thanks to those who participated in our Tête-a-Tech with Mike Krieger! The conversation is available in our channel, in two parts. Check it out. Special thanks to our partners SEB, Escola Concept and BH Tec for their support & participation!